"A Caterpie may change into a Butterfree, but the heart that beats inside remains the same." 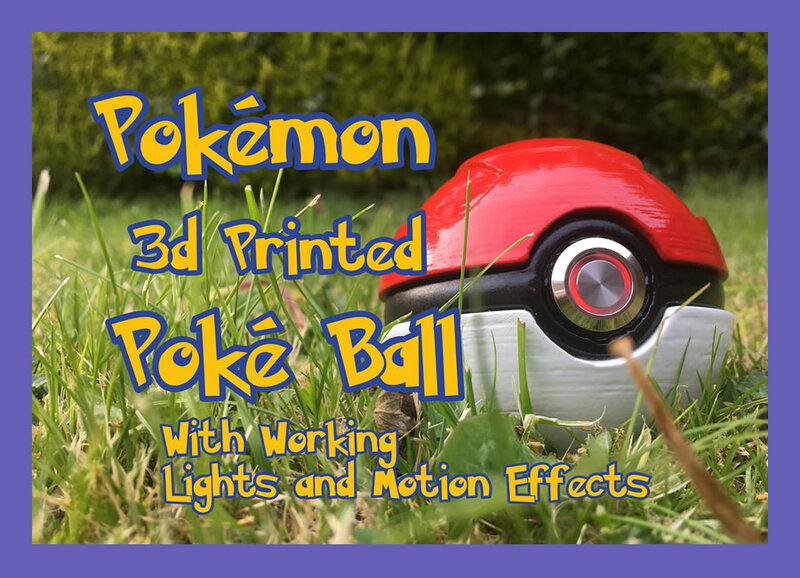 With all the hysteria that came with the Pokémon Go phenomena, it got me thinking about the Poké ball and how it would make a really cool project. 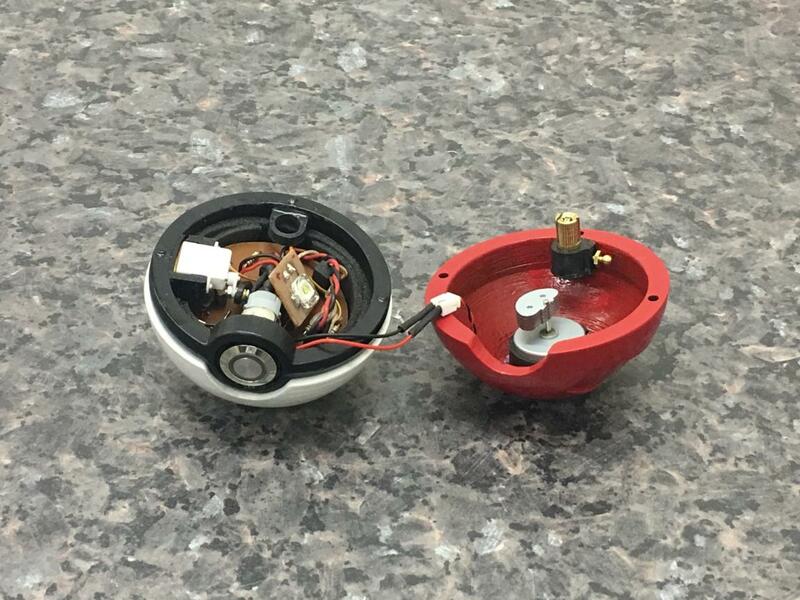 Considering that Pokémon has been pretty popular for more than two decades I figured that someone else must have made a totally awesome replica by now. So after a bit of Googling I was surprised by how difficult it was to find a really good example of a 'working' replica. There were plenty that looked the part but were in fact nothing more than just hollow balls, or some that had a red light and a button on the front but not much else. I decided that I would try to build my own replica that not only looked pretty awesome but had some awesome features too. 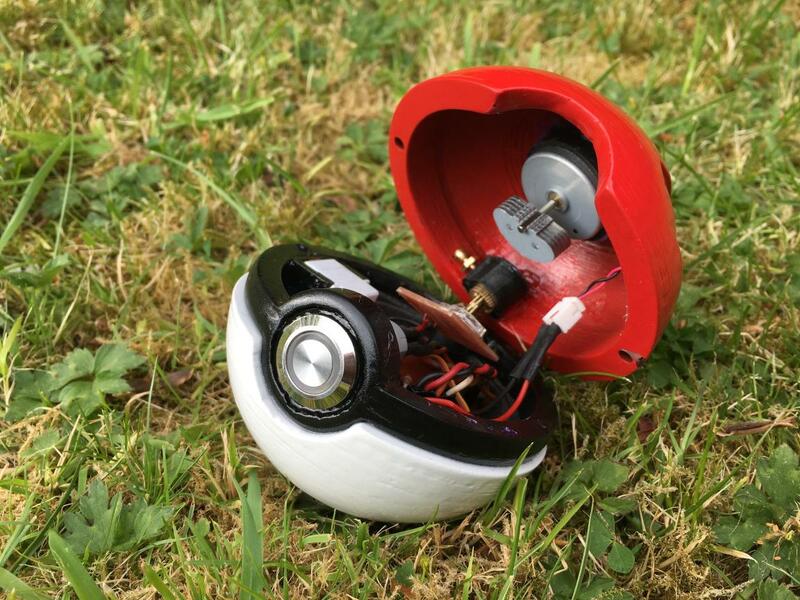 The Poké Ball shell is a 3d printed remix of the Pokeball (with button-release lid) designed by Intentional3D on Thingiverse. This is the 80% scaled version to make things more lifelike. The middle ring has been re-designed to incorporate the chrome button. 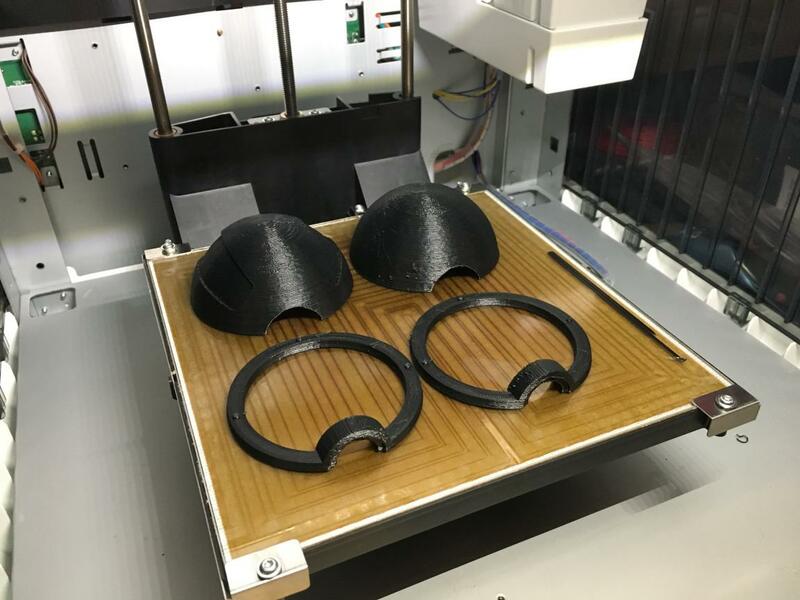 The 3d printed shells are smoothed and finished using Smooth-On's XTC-3d. 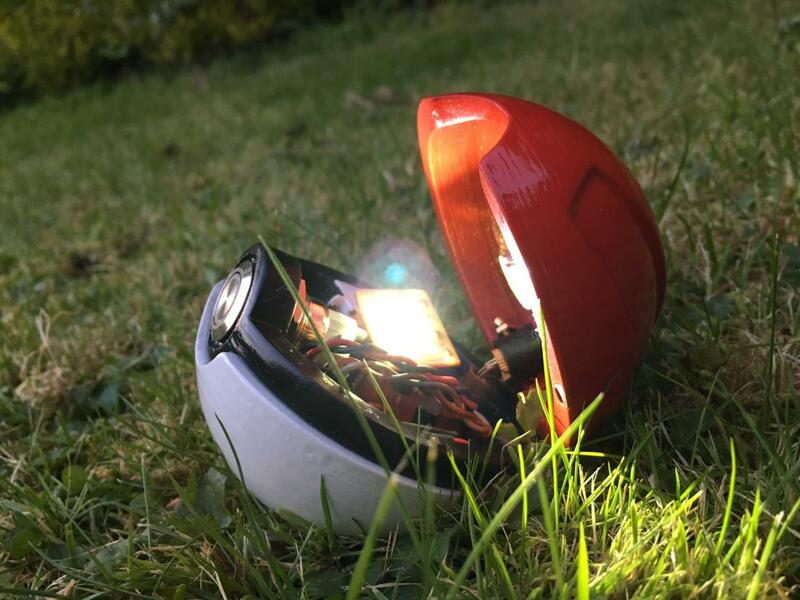 Electronics are provide by the PICAXE microcontroller, along with some LEDs and the rumble motor from an XBox 360 controller. It also includes a mercury-free tilt switch. 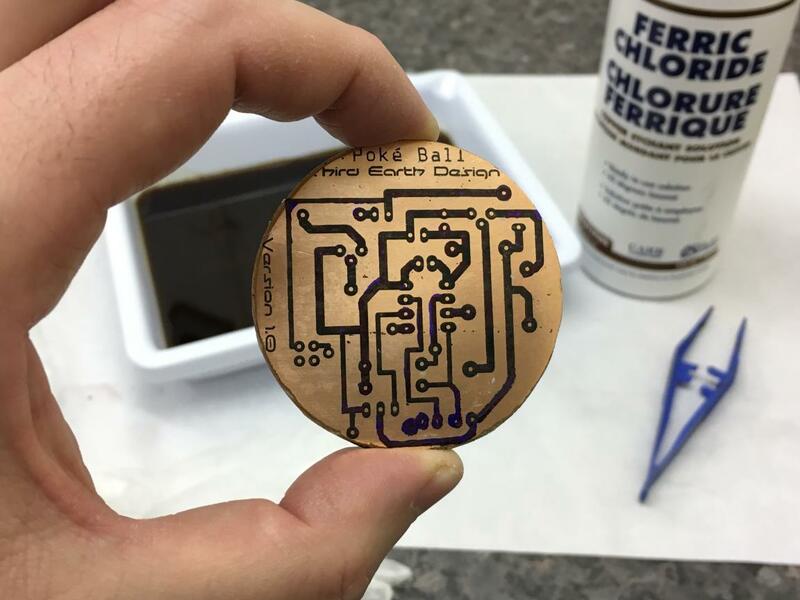 For this project I etched a custom PCB design for the electronic components to make things more compact. It is powered by three N-series batteries.